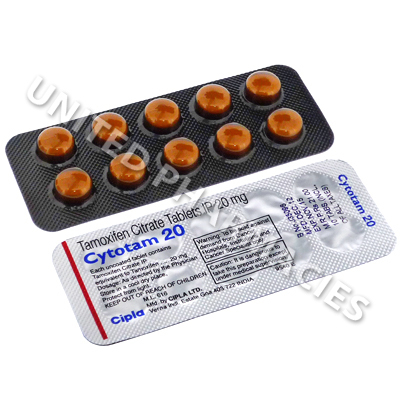 Cytotam (Tamoxifen) is a drug in pill form, taken orally, that interferes with the activity of estrogen (a female hormone). This medication has been used to treat both advanced and early stage breast cancer. 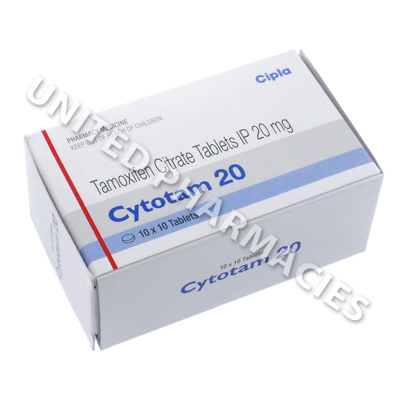 Cytotam (Tamoxifen) is a drug in pill form, taken orally, that interferes with the activity of estrogen (a female hormone). This medication has been used to treat both advanced and early stage breast cancer. It has been used for nearly 20 years to treat patients with advanced breast cancer. More recently, it also is being used as adjuvant, or additional, therapy following primary treatment for early stage breast cancer. Cytotam (Tamoxifen) is usually prescribed as a single daily dose and this should be taken at the same time each day - the actual time does not matter. Some women prefer to take it with food as it may cause feelings of sickness and leave a metallic taste in your mouth. The most common side effect is hot flashes similar to those experienced during menopause. Cytotam (Tamoxifen) may induce menopause in a woman who is close to menopause, however, it rarely does in young women. Other common side effects include vaginal dryness, irregular periods, and weight gain. In addition, women taking this medication may be at slightly increased risk of developing cataracts. Women who have cataracts before taking this drug may be at slightly increased risk of needing eye surgery to remove the cataracts. There has NOT been a generalized decrease in vision in women taking this drug. It is recommended that women taking these tablets have eye examinations by an opthalmologist at least every 2 years. Like most drugs, Cytotam (Tamoxifen) should not be taken during pregnancy. Even though it can affect a woman's periods, this drug is not a contraceptive, so reliable contraception must be used. These tablets can increase the effect of the drug warfarin, used to thin the blood in people prone to blood clots. If you are taking warfarin let your doctor know straight away.